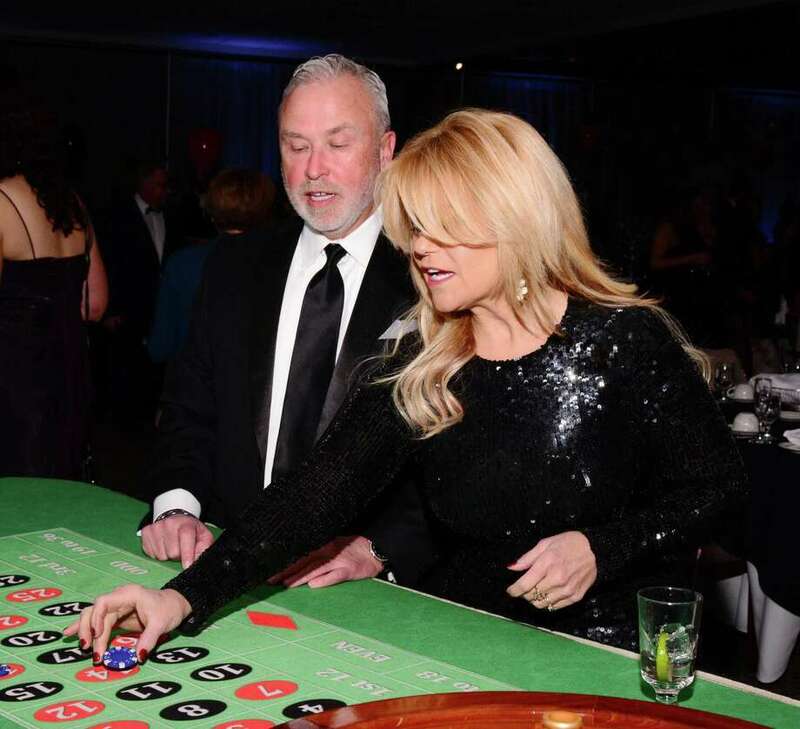 Ken Taylor and Judy Huntington get in on the action at the roulette table at the Greater New Milford Chamber of Commerce’s 21st annual Crystal Winter Gala. The Greater New Milford Chamber of Commerce hosted its 21st annual Crystal Winter Gala on Saturday night at the Amber Room Colonnade in Danbury. The black-tie optional dinner-dance featured an open bar, cocktail hour, dinner and dessert, as well as a silent auction, wine pull, balloon-pop fundraisers and music. Dimitri and Rose Koulouris of Affordable Automotive were the Chamber’s Business of the Year Award and Jeff Kilberg received the Distinguished Member of the Year Award. The chamber offers free educational seminars and networking events, awards scholarships, donates to various organizations and hosts community events. For more photographs, visit www.newmilfordspectrum.com.